3/4/13 - Appointment - Paris, Musée du Louvre - Although everyone was predicting Sylvie Ramond - the French Minister of Culture’s choice -, the official appointment will name instead, according to our sources, Jean-Luc Martinez, 49, as President-Director of the Louvre, during the Council of Ministers Wednesday morning at the Elysée Palace. The director of the Musée des Beaux-Arts of Lyon no doubt suffered from Aurélie Filippetti’s overt determination within the government to appoint a woman to this position , thus in fact working against her when it came time to make a final choice. Sylvie Ramond has an excellent background to her credit as head of the second largest museum in France (which recently added a Poussin and an Ingres under her leadership), having also organized many beautiful exhibitions on old masters or 19th century artists. Contrary to the fears expressed by many, the selection procedure was in fact well managed by the French Ministry of Culture though we might regret the lack of communication on the subject. Though we wonder why certain applicants, such as Michel Hilaire, the director of the Musée Fabre in Montpellier, who has been remarkably active there, were not considered, we must admit that the three names in the final running were all legitimate possibilities as head of the museum. Some expressed their disappointment that certain candidates were not granted an interview with the Minister but this is not really surprising : like in many recruitment situations (including the private sector), they first met with ministry officials in charge of initiating the process (notably Laurence Engel, Cabinet director, and Philippe Barbat, Advisor in charge of heritage), Aurélie Filippetti in fact met only those in the second stage of this selection after also consulting with figures such as the former presidents of the Louvre. The final running was in fact more drawn-out than initially planned and the definitive choice was made only last week. Laurent Le Bon, eliminated at the outset, found his name back on the list submitted to the French President and was a serious contender for several days before being set aside in favor of Jean-Luc Martinez. Thus, the appointment went to an inside candidate, a fact which did not appear obvious at the beginning. This decision will no doubt help to avoid the inevitable resistance on the part of a colossus such as the Louvre to an outside director. Jean-Luc Martinez, whom we have not discussed at length in The Art Tribune as he is in charge of Greek and Roman Antiquities and thus not in our chronological field, is in any case unanimously respected by his peers and considered a true scholar, with a store of knowledge which goes far beyond his specialization. An agregé in history, member of the Ecole francaise d’Athenes, he participated in archeological digs in Greece before becoming chief curator at the Musée du Louvre in 1997, succeeding his mentor, Alain Pasquier, as head of the Département des Antiquités et Objets d’Art. The new president faces the prospect of many new projects but has the advantage of knowing the Louvre and its difficulties particularly well. We wrote here (on the French Site),without mincing our words, what we thought of Henri Loyrette’s record as president. He leaves the museum at a time when the financial means at its disposal have been drastically reduced. These cuts (though Francois Hollande had promised to maintain the cultural budget) are unacceptable but the French Ministry of Culture wishes to place a more important focus on the museum’s primary mission which is, in itself, perfectly legitimate. 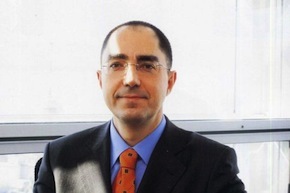 Among the early decisions which Jean-Luc Martinez will have to make there is the appointment of the Director of the Departement des Arts Graphiques, left vacant since January and the departure of Carel van Tuyll as well as that of his own successor to the Departement des Antiquités Grecques et Romaines. Although she denied the statement, it is indeed true.